Building Contractors are those specialized people you need when it comes to doing improvements on your home or business. These contractors have the most current knowledge of building codes and laws, construction methodologies and your home improvement project. Contractors can handle most any type of improvement remodeling, interior design, exterior repairs, new building projects, and service/repairs. Before hiring one, it is always better to ensure they are appropriately licensed and both are bound by a mutual agreement. When hiring a contractor make sure your check their credentials and references. You need to sign an agreement that covers every detail of your project. These details should include an outline of your project, the price, a start date and completion date. You also need to mention to your contractor any concerns you may have before the start of construction, such as guaranties or warranties. You should be able to talk to your contractor as if he were a friend. A good relationship with your contractor will guarantee you are getting the best possible deal and that if any work or design changes need to be made during the project be sure the both of you are in total agreement. Home contractors will work with you to determine the specifications of your project, the amount of money you would like to spend, what materials you wish to use and the length of construction time. In these slow economic times be weary of those who claim to be contractors. Many people are out of work and are bidding jobs for very cheap prices. Be aware that cheap is not always the best deal. You may not get what you are expecting at the end of the job, and as the job progresses you may find out you are paying more than you expected because the person underbid your project. A legal and good contractor will be able to quote your job, in most cases, to the penny unless additional work arises during the project. Make sure that these additional projects are backed up by an additional agreement and signed by both you and your contractor. In some cases your contractor may hire specialized subcontractors for specific tasks like Electrical, Floor Covering, Heating and Ventilation, Landscaping, Masonry, Plumbing, Water Proofing etc. to get more experienced physical labor and complete according to plans within the deadline. This is normal practice because most Contractors are licensed in their trade only. The building contractor is not licensed to do electrical, plumbing or A/C. 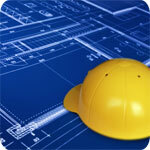 In most cases he will call the contractor licensed in that field to help him complete your project. All your communications will be through your building contractor, who will then delegate responsibility and tasks to their team of professionals. Since you project involves money it is better to hire the best contractor so that you receive the best deal possible. Your contractor will know the best sub-contractors to hire because he has worked with them in the past. This saves you time looking for additional contractors to complete your project and money. Many people find contractors through word of mouth or in newspaper ads, but with the popularity of the internet, you can easily find websites that list experienced, licensed contractors. Be cautious of newspaper ads because it is very easy for anyone licensed or not to throw up a cheap ad in the newspaper. This article was written by Ricky Gaspard of buildorrepair.com in Pensacola, FL. Get the best deal possible on your home project. Visit buildorrepair.com today. Buildorerepair.com is a state licensed contractor in Florida, Alabama, Mississippi and Texas with 32 years experience in building, remodeling and construction.